Is your sweet tooth tingling? 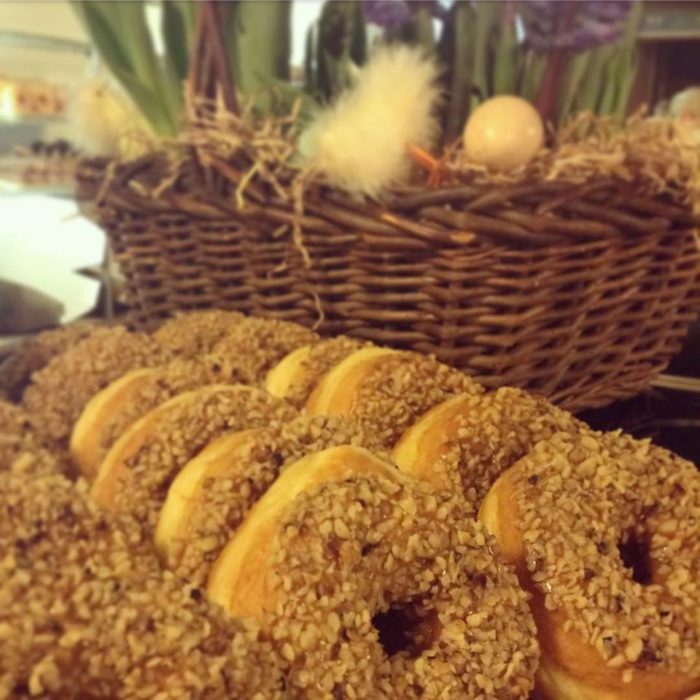 Those of you that have a weakness for donuts should get ready for the sweetest food trail we’ve put together yet. 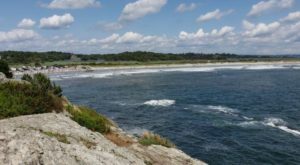 Grab some friends and get ready for the sugar rush of a lifetime as you travel along the Rhode Island Donut Trail. 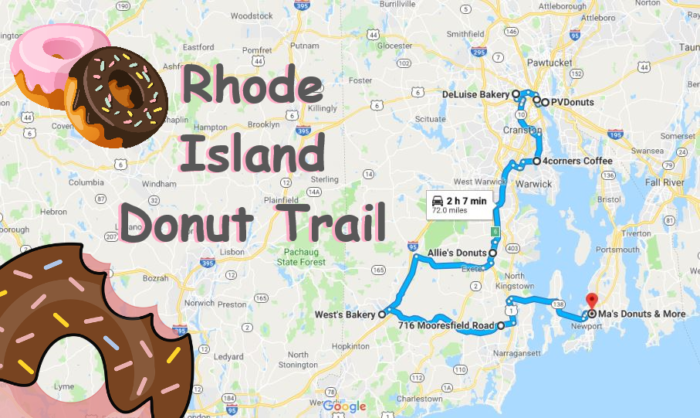 At under two hours of driving time, you can take the Rhode Island Donut Trail in one day easily. 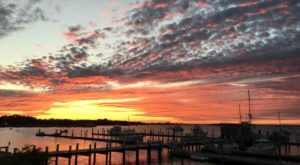 But if you like to linger and savor the sights and the donuts, add an overnight stay and make a weekend of it! 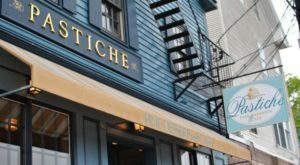 Grab your interactive map for this foodie trail here. 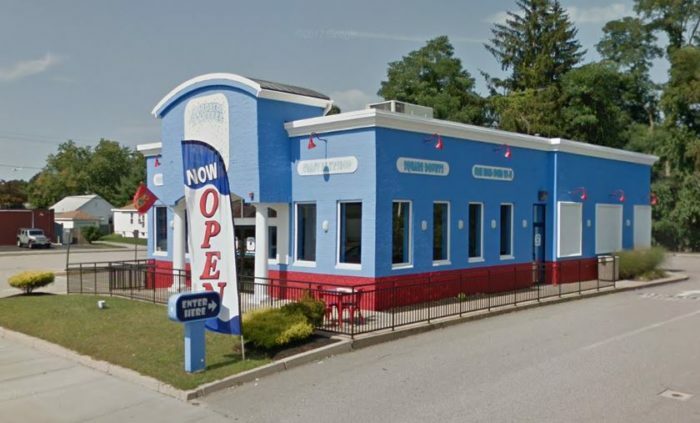 PVDonuts is the first specialty donut shop to have its start in Rhode Island. Expect big, fluffy, brioche style yeasted donuts that are scrumptious and filling. 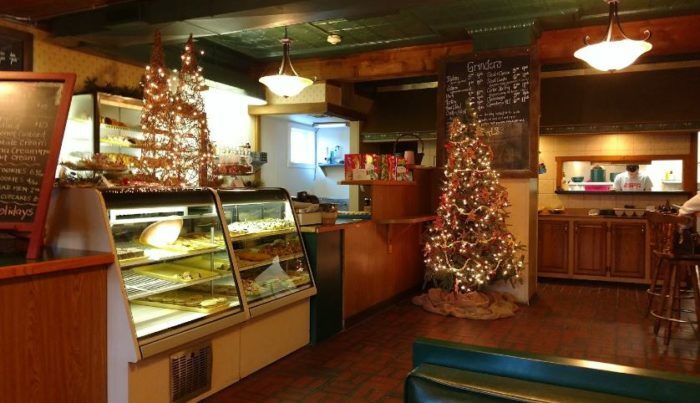 Seasonal specials like Bailey's Hot Chocolate and Gingerbread make for wonderful holiday treats. 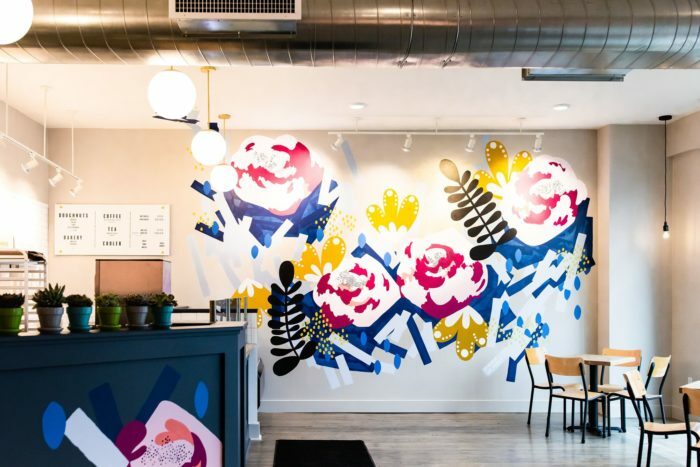 This relative newcomer to the donut scene already has a large fan base. Choose from old-fashioned, cake, or brioche style. 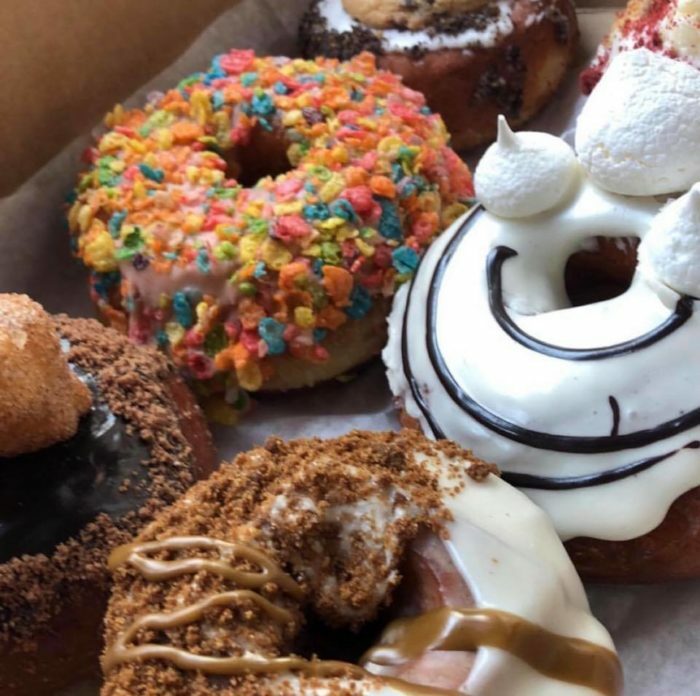 Enjoy choices like brown butter pecan, cinnamon roll, or passion fruit just to get started at KNEAD Donuts. 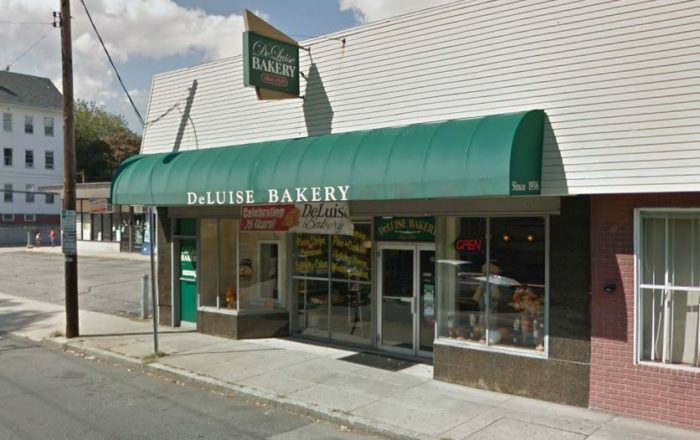 Established in 1939, DeLuise Bakery has been turning out delicious donuts for decades. The chocolate frosted and glazed are tried-and-true classics. 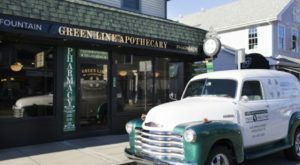 While you're visiting feel free to grab some tasty cookies for later. 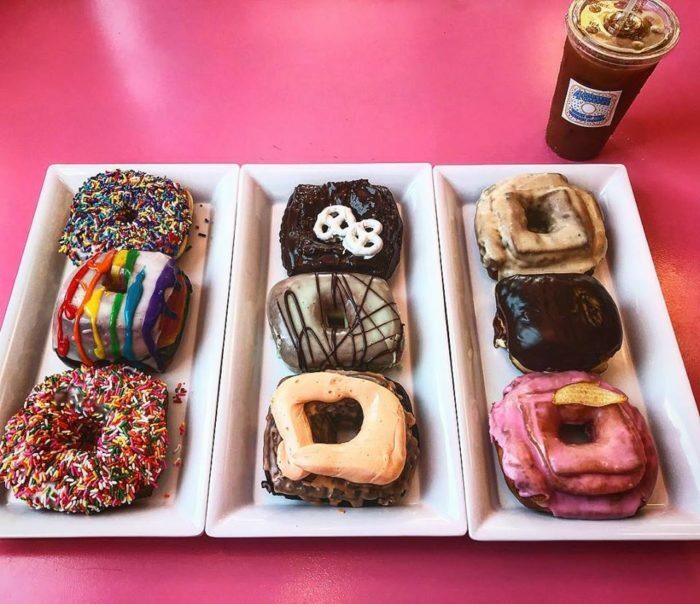 Who said donuts have to be round? 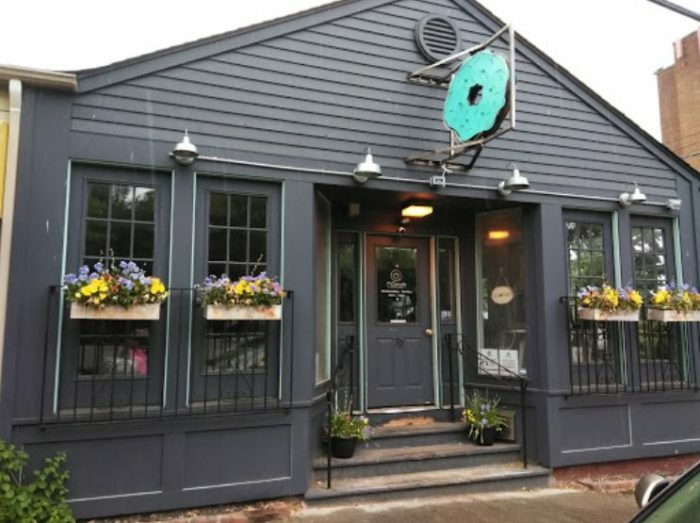 4corners Coffee believes it's hip to be square and their four-sided donuts are worth straying from the traditional shape. 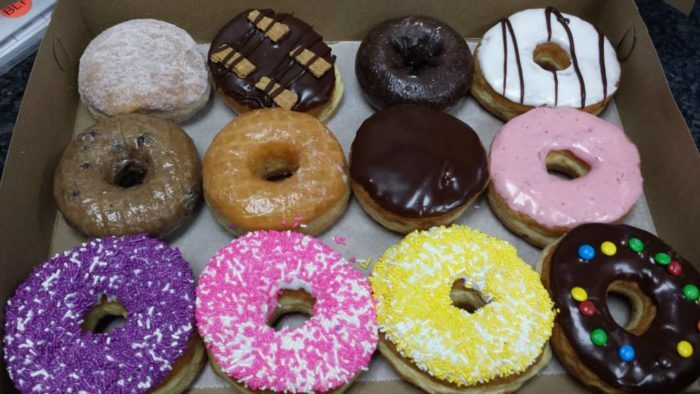 Drive-thru or dine in, these donuts are downright delicious. 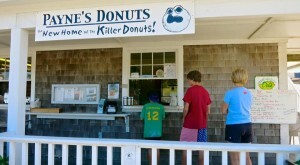 Weekend mornings at opening time brings a line out the door at Allie's Donuts. It's worth the wait for these crispy bites topped with light as air frosting. 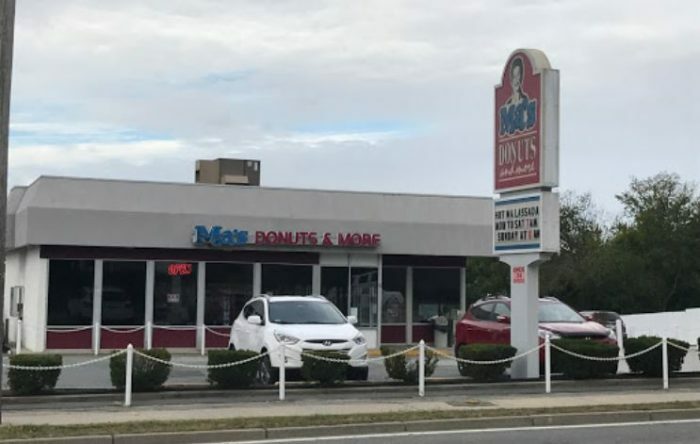 This unassuming spot has earned national recognition for their heavenly donut cakes designed to celebrate special occasions. 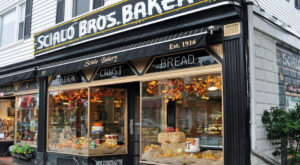 Stare into the glass case at West's Bakery and you won't know what to choose. The donuts are legendary as are the cream-filled bismarks. 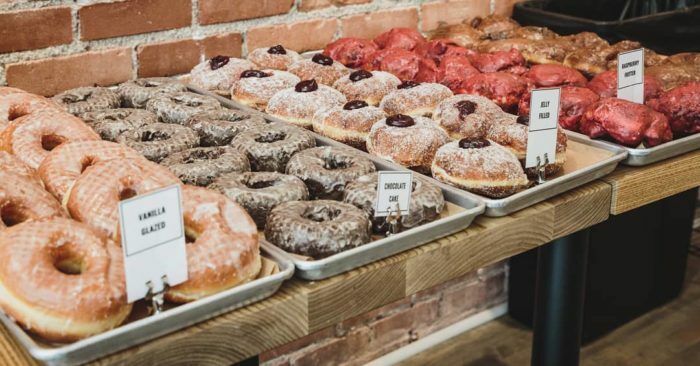 But in the donut world, choices are a delight and you pretty much can never go wrong here. 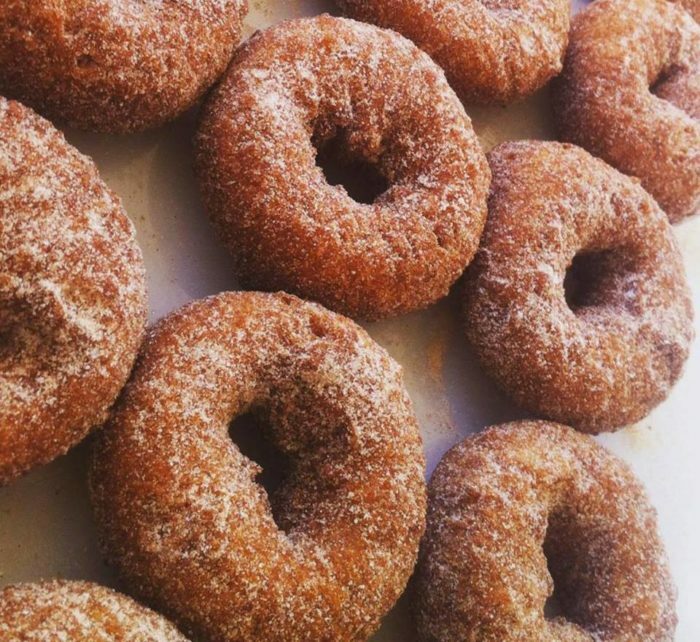 This seasonal donut truck makes cider donuts that you'll crave all year long. 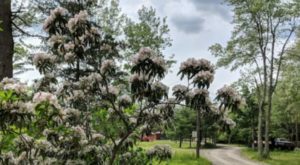 September 1 - November 18th, their home is at Windmist Farm. 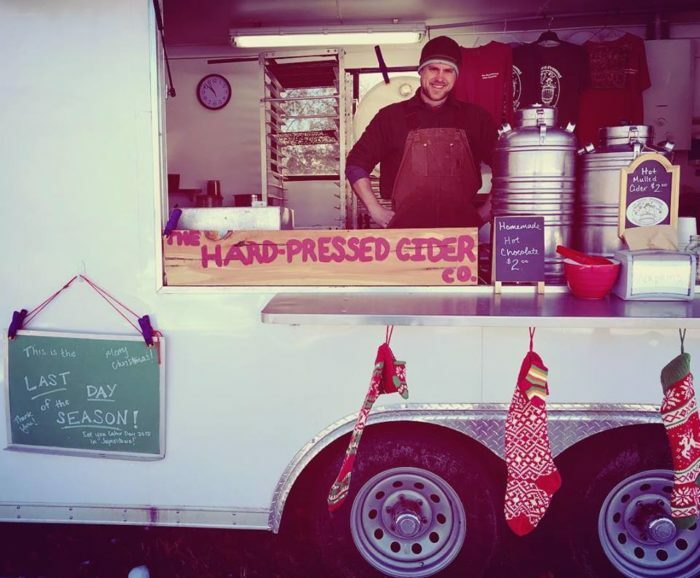 From Thanksgiving to Christmas, enjoy these warm treats at the Farmer's Daughter's Cut-Your-Own Christmas Tree Farm. 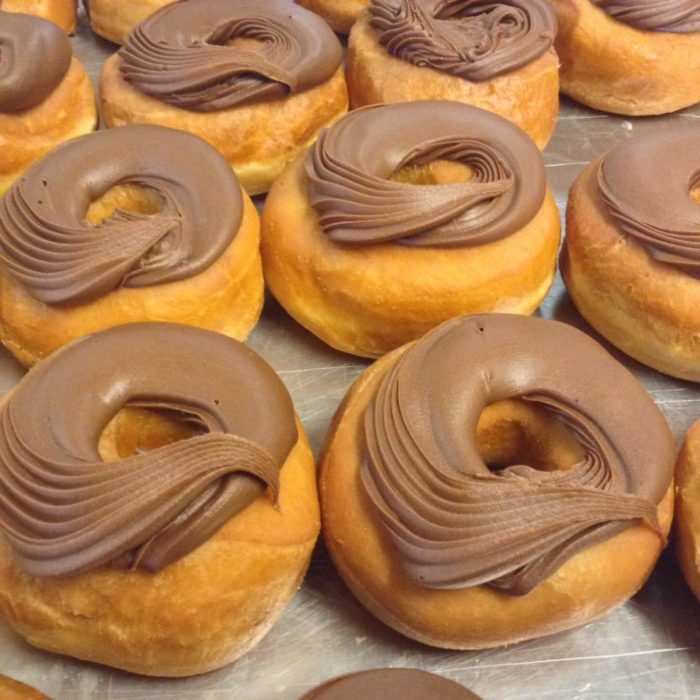 Peruse the selection of dozens of donut choices at Ma's Donuts & More. 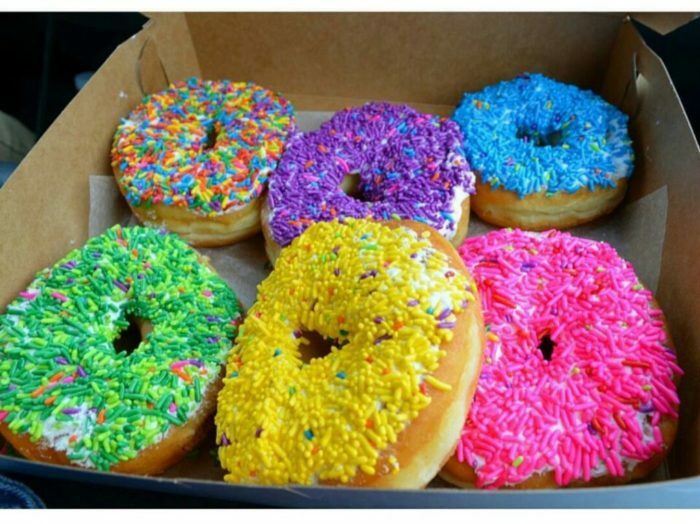 Colorfully decorated and plump donuts bring smiles to faces both young and hold. Pair these pastries with a cup of coffee and you have a little slice of heaven. 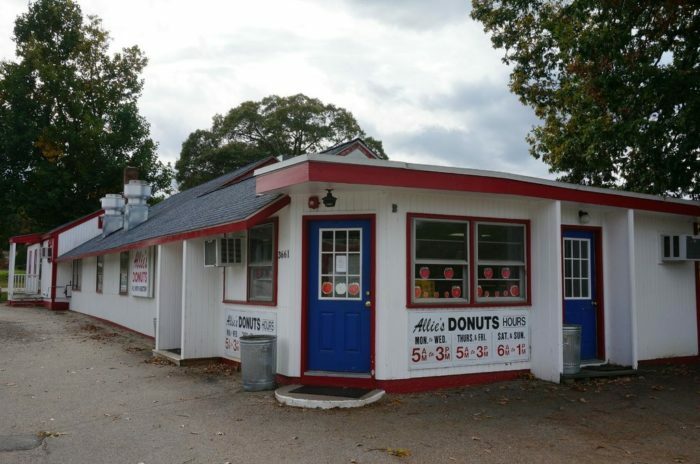 Do you know a donut die-hard that would love taking a trip down the Rhode Island Donut Trail? 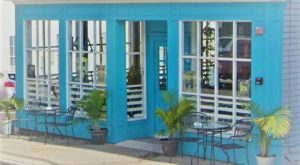 If you’re hankering for a full meal, visit one of these restaurants that are so good they’ve been on TV.